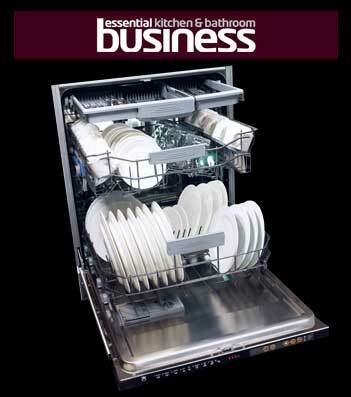 Essential Kitchen & Bathroom Business magazine’s feature on dishwashers highlights the dishwasher’s move from a luxury item to a commodity product, thanks to advances in design and technology. “CDA’s new integrated dishwasher takes 15 place settings instead of the standard 12 for a 60cm dishwasher, and will wash a full load in nine litres of water. There are nine programmes and three intelligent auto programmes that automatically sense the right amount of time and water for the wash load. The machine has a pull-out cutlery tray-a space saving option that guarantees all cutlery is properly cleaned- and an LED interior light.” The WC600 is an A++AA rated, has LED rinse and salt indicators, height adjustable upper baskets and includes a delay timer, aquastop and an active drying system, making it both an efficient and indispensable kitchen appliance.